$500 off first month’s rent on select apartment homes. 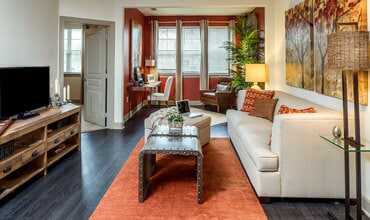 The Retreat at Windermere Apartments offers you a haven to come home to. Beyond the gorgeous homes, the community has a wealth of amenities. Challenge yourself in the Cardio and Sculpt Zone or relaxing at the Village Green Park. The picturesque pool area comes with a patio bar and a poolside grill for a fun-filled day with friends or a day relaxing in the sun. 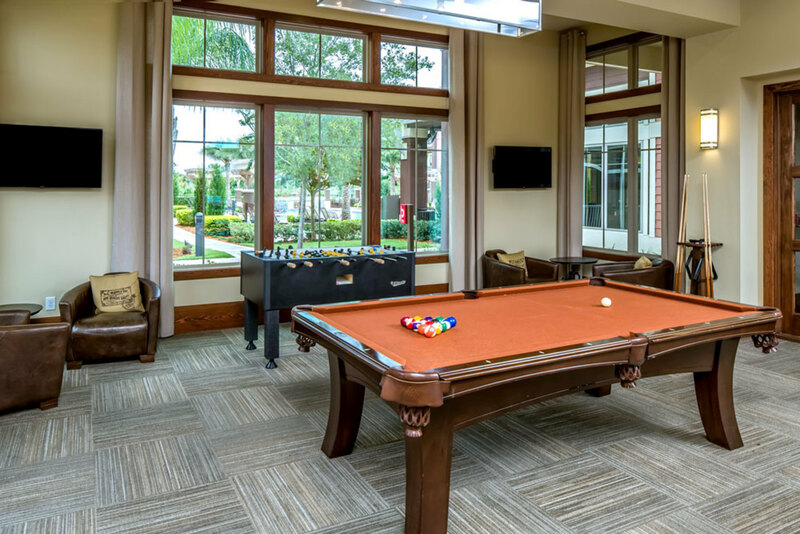 You can enjoy your evenings playing pool or shuffleboard in the Lounge. You stay connected all the while since Wi-Fi connection is available throughout the community’s social areas. Visit the apartments in Windermere, FL from The Retreat at Windermere to start living the lifestyle you deserve. Choose a one, a two or a three bedroom apartment to experience a host of great features. 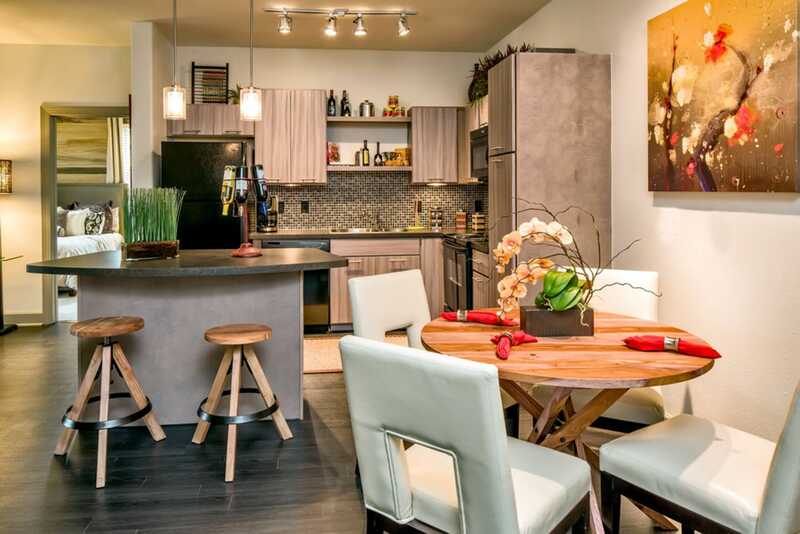 All floor plans come with the choice of two distinct designer color palettes that blend beautifully with the stylish wood flooring and the lofty, nine-foot ceilings. 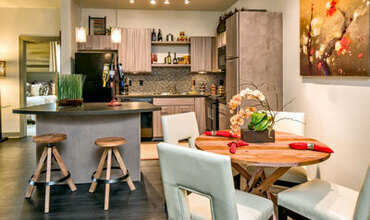 If you like to cook, then you are sure to love the sleek, black appliances in the chef-inspired kitchens. 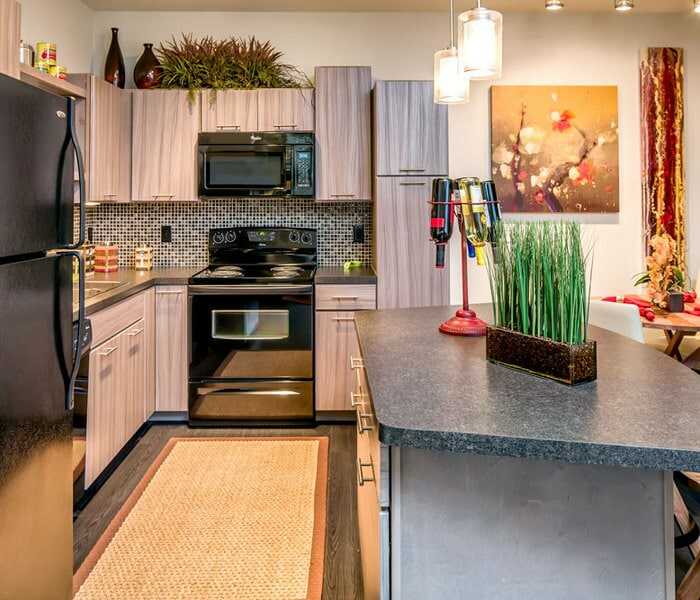 In addition to all of this, the layouts feature spacious, scenic balconies or impressive sunrooms. Furthermore, each bedroom features a generous walk-in closet. Residents additionally enjoy the full-size washers and dryers, elegant bathroom spaces and enhanced audio features in these homes. When you’re looking for gorgeous apartments for rent in Windermere, FL look no further than The Retreat at Windermere. Call or email a team member today! 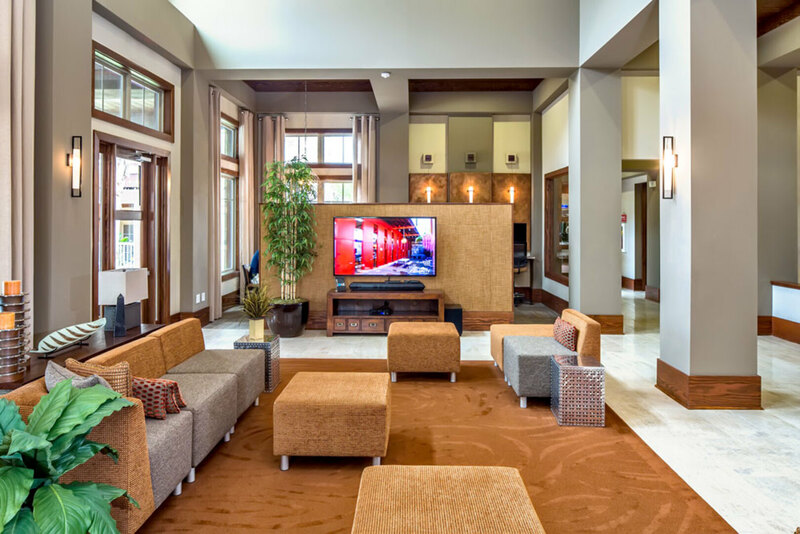 What separates these homes from other Windermere apartments for rent are not only the great features, but also the community’s array of remarkable amenities as well. As a member of this community, you can relax in the serene waters of the beautiful swimming pool. Featuring a patio bar, poolside grill, lounge chairs and a fire pit, it is the perfect place to be on a warm afternoon or cool evening. If you are into healthy living, the on-site gym will help you stay fit with daily exercise. Loaded with a weight machine, free weights, elliptical machines and a yoga studio, the fitness center has everything you need. There are also several nature trails, a soccer field, playground, outdoor fitness stations, community garden, and a dog park close to the community. If you enjoy a bit of friendly competition, you will have to explore the Lounge. Featuring shuffleboard, billiards and video games, you are guaranteed to have a good time. The flat-screen television even comes with NFL Sunday Ticket for the sports fans. Whether you have work to do or you just want to surf the Internet, there is free Wi-Fi in the community’s various social areas as well.